For the next three nights, you’ll experience peace at Amandari in Ubud, a resort that’s as calming as it is chic. Set on sacred ground above a Hindu shrine, you’ll be placed in the heart of Bali where picturesque rice fields and beautiful greenery are the norm. For the adventure seekers, we’ll arrange for you to trek through rice fields and the surrounding tropical jungle. Just a short drive away sits the lively Pasar Seni market, along with galleries and shops, where you’ll discover the buzz of Bali. For foodies we can arrange a traditional private cooking class at a local village, you will be warmly welcomed and expertly guided by your host, who will help you to discover how to create your very own delicious authentic Balinese dishes such as Nasi Goreng and Sambal. From Bali, you’ll set off for Komodo and Labuan Bajo airport. After a short drive, you’ll arrive at the Labuan Bajo harbour, where your private yacht The Alexa will be waiting for you. For the next five days it will just be you and endless sea views, and with an expert crew onboard including a spa therapist, a private chef, a cruise director and a dive guide your every wish and desire will be looked after. For the next few days get ready to explore some of the most remote islands and coral reefs on the planet. After your last night dining aboard The Alexa, you’ll make the journey to your final destination in Indonesia. From one paradise to another, we’ll drop you off on the remote island of Sumba Island where you’ll stay for the last few nights at the ultimate romantic retreat of Nihi Sumba Island. 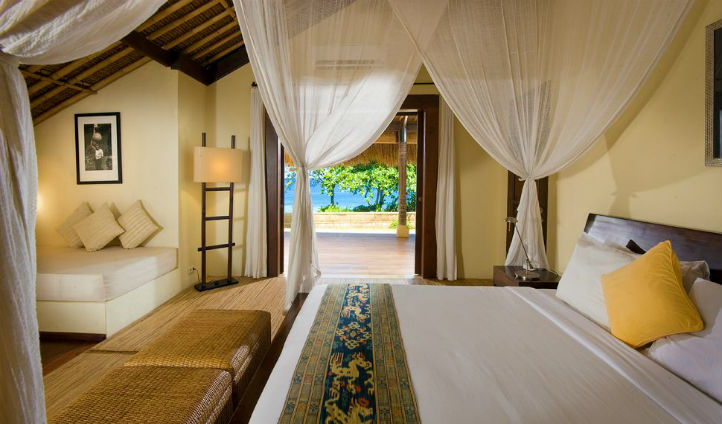 Lazily lounge in your villa and take a dip in your private pool that overlooks the ocean. For an adrenaline hit take to the waters and surf some of the best waves in the world with an expert instructor. Alternatively we can arrange a memorable horse ride along the sandy beach at sunset. 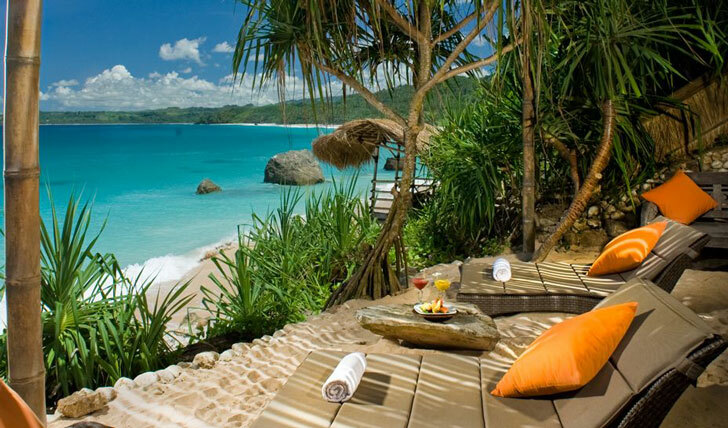 To top your Nihi Sumba Island experience and your perfect Indonesia honeymoon, take a truly unique journey on a Spa Safari. You’ll trek for 90 minutes through rice fields and local villages with a guide before you reach a secluded bale overlooking the cliffs – here you’ll be greeted with fresh coconuts and treated to your favourite spa treatments. It’s the perfect way to end your Indonesian honeymoon to remember.